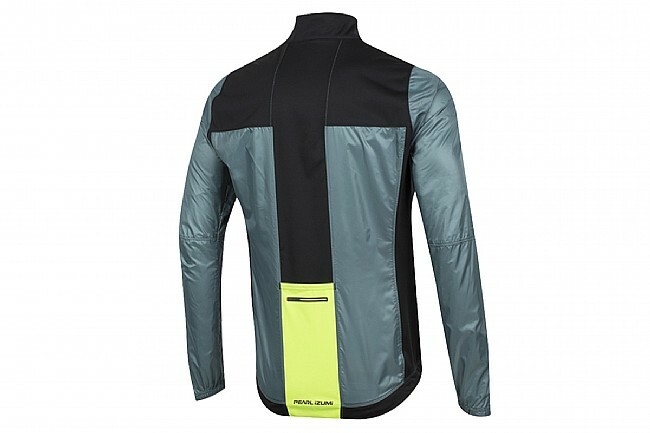 When clouds are lurking overhead, or the day's KOM is high enough to put you in a different weather system, you'll have your bases covered with the highly compact and protective Pearl Izumi P.R.O. 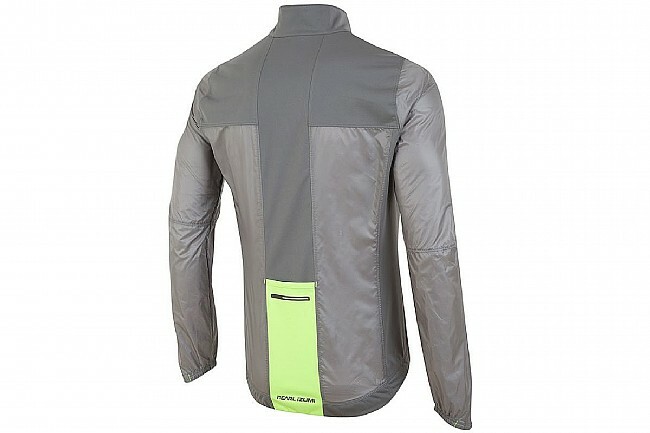 Barrier Lite Jacket. 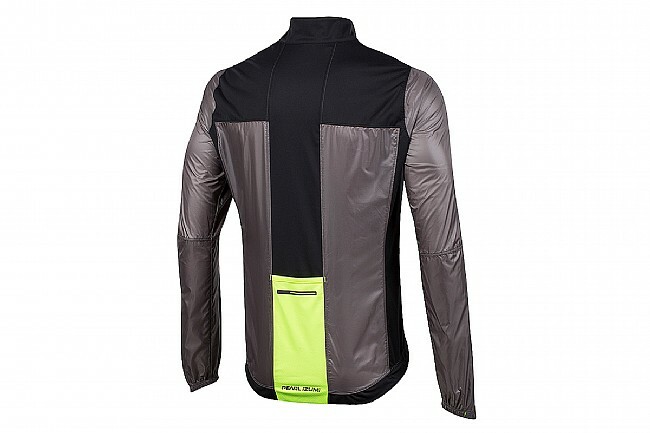 Barrier Lite ripstop fabric blocks out wind and rain with a DWR coating, as do the Softshell Lite panels that also keep this jacket close-fitting so it's not flapping in the wind like an angry duck. The high-collar protects the upper reaches of your neck, while the draft-flap behind the full-length zipper keeps the gusts from sneaking inside. When not in use, it packs down into its own back pocket to a size smaller than a soda can for easy storage. Form-fit with elastic hem. Features reflective accents for increased low-light visibility. Available in multiple colors. Fits great,compacts as advertised but haven't used it yet due snow still on our streets. Plan to use as a take along item on threatening days when it is above 50 degrees. Very durable , and light. Best South California riding jacket I own. Cool mornings, warm afternoons. Rolls up easily and stuffs in pocket. Elastic panels keep it close to my body. The darker grey you see is elastic. Perfect for cool and windy weather. Jacket ran a little small.. I exchanged the medium for a large. Fits great.. The zipper is super smooth. The zipper also lets you have the zipper up and pull the bottom zipper up. Nice for adjusting the temp. Also it rolls into a small package for putting in a back pocket. Also it lays flat on your body in the wind with out any noise..